Help! Our Pastor is Immature! “Let no one look down on your youthfulness, but rather in speech, conduct, love, faith and purity, show yourself an example of those who believe” (I Timothy 4:12). Recently after one of our writings on the subject of spiritual immaturity, a young friend in the ministry wrote to tell of a painful experience he’d had with a longtime buddy who was pastoring a church. I’ll summarize his story. After his team lost in the Super Bowl, Pastor Kent went to his Facebook page and slammed the winning team. He griped about the city, its people, its reputation, and said every bad thing he could think to say. He was an unhappy camper. His friend, telling the story–we’ll call him Tommy–sent him a private note to say it was not very gracious for a pastor to be speaking that way just because his team had lost. Perhaps Kent would like to soften his words somewhat. Pastor Ken responded harshly, insisting he had been joking and that he was offended at being reprimanded in public this way. Since they were longtime friends and he felt he could speak plainly, Tommy pointed out that he had not rebuked him in public but this was a private communication. He added that the city whose team had just won the championship had undergone some very difficult times lately and this victory had given them a much needed lift, that sort of thing. That day, Kent cut off all further communication with Tommy and “unfriended” him and his family on Facebook. They’ve had no contact since. An immature pastor can be a problem for all who know him. Pray for his church. Pray God will give the church a few mature leaders who can speak plainly with him (that’s a euphemism for “take him to the woodshed when necessary”). He will be lost without such friends. All right, here’s what happened. I never did know for sure which team Mack was for. All I know is the one he hated: ours. He missed no opportunity to slam our players and coaches and me for supporting them. This made little sense, seeing as how Mack was a native of this area. But when I wore a shirt sporting our team emblem, if he was in the yard–did I say we were next-door neighbors?–Mack would make a derogatory remark. Sometimes he would unloose a stream of profanity and more than once called the owner a scoundrel. Now, I can understand neutrality about a team one doesn’t care for, but hostility? That one escapes me. Mack was most definitely not neutral. He hates us. One time when we were talking over the backyard fence about something or other, I told Mack I had met his sister the other day and what a nice person she seemed to be. This set him off again. He informed me that she had been a cheerleader at one time for our team, and he thought she was a fool. He cursed her, cursed the team, and said the fans were idiots. When Mack opposed something, he took no prisoners and left no one in doubt where he stood. How I overcame the fear of public speaking and learned to love it. Now a confession. I was never afraid to stand in front of a group and speak. Not ever. In fact, quite the opposite. As a fourth grader in our little West Virginia schoolhouse, teacher Margaret Meadows would periodically invite class members who had read an interesting story to stand and share it. I recall Violet Garten (love that name!) was so good at it. But when she called on me (I’m the guy frantically waving my hand) and I walked to the front of the class, I broke the rules. I did not relate a story I had read somewhere. I made one up on the spot. That is serious something or other, I don’t know what. Was it a love for being the center of attention? Self-confidence on steroids? Not given to introspection, I’ve never tried to answer that, but I am confident that little snapshot reveals a world of insight on the man I became. Positive and negative. In high school, one of the requirements for presidents of local chapters of the FFA (Future Farmers of America) was that we be able to address an audience of our members for a full 30 minutes. I don’t recall actually doing that, but addressing audiences 30 minutes at a clip would end up describing my life. I’m a Southern Baptist preacher, you understand. As of this December 2, I will have logged a full half-century of preaching. When friends tell me they hate public speaking with a dread, that they would rather take a whipping than stand in front of a group and speak about anything, I’m speechless and cannot begin to identify. So, yesterday I did something. I asked my Facebook friends who dislike public speaking to tell us why. Two scriptures need to be up front…. Half the ministers I know are sitting in judgment on their own work. And it’s not looking good for them. They decide the Kingdom work is not going very well, feel guilty because they are so ineffective, and grow discouraged. Instead of giving their all day in and day out over a long life of service and obedience, they turn inward, give less and less of themselves, while the visible results they so long for become more and more scarce. You’re not the judge, just a worker in the field of the Lord. Now, get back out there and trust that the Lord knows what He was doing when He assigned you to this corner of the Kingdom. Jeff Christopherson could tell you. In an article “Re-defining success,” published in the Fall 2012 edition of “On Mission” (pastors’ edition), the publication of Southern Baptists’ North American Mission Board, Jeff talks about something that happened to his father Allan. We are God’s handicrafts. His artwork, even. Think of the Creator as a Master Artist. A Craftsman superior to all others. Can anyone doubt that He is? Look at the incredible, mind-boggling beauty across the universe. Look in the distance at the stars and galaxies. The Hubble telescope has revealed such stunning visuals which up until now, only the Heavenly Host saw and enjoyed. Look nearer home, at the planets and our own Earth. Travel the Earth and take in visuals delights like–naming some of my favorites here–the Rockies, the Smokies, the Western plains, the sugary beaches of the Gulf Coast, the Painted Desert, New England in Autumn, and San Francisco from a distance. And yes, the Holy Land, Egypt, the Italian peninsula, and Ireland. The variety is endless, the majesty awesome. Closer still, look at the jaw-dropping beauty ot a child’s face, the stunning perfection of a winter rose, a closeup of an opal, and the heart-stopping thrill of a double rainbow after a storm. Those whose work confines them to the laboratory see God’s handiwork under a microscope. The professor sees it in the mathematical precision by which the universe functions. The historian sees God’s hand in the movements of men and nations through the centuries. Those in the medical field see God in the healings that occur under their watchcare each day. God, the Artist. He is the Original Originator, the One whose craft the rest of us imitate and copy and admire. A revival of God’s people is like a rainy season when Heaven’s blessings are poured out upon a dry and thirsty land. So said the Prophet Hosea nearly 3,000 years ago. Nothing has happened since to challenge that image. The result of such an outpouring of “spiritual rain” is new growth and a bountiful harvest. As a teenager on our Alabama farm, one Spring I saw what abundant rain can do. We had planted string beans in the bottomland alongside a creek called Bunkum. This was rich soil, made all the more productive by the occasional overflow of the stream. No sooner had the seeds sprouted than several weeks of heavy rain followed. When we were finally able to get back into the bottoms, the weeds were almost waist high, but the green beans were incredible. I could reach under a plant and could not wrap my hand around all the beans. That’s what rains can do for a crop. Scripture abounds with metaphors for revival. Giving thanks is such a beneficial activity, Scripture is saturated with reminders and encouragements and admonitions and enticements. It is good to give thanks–to one another, yes, but in particular to the One who is the Source of it all: The Living God. We’re coming up on the Thanksgiving season, everyone’s favorite time of the year. Wonder why we even have such a season, though. One would think giving thanks would be like taking the next breath: something we do automatically, constantly, naturally, without needing to be prodded. I’m reluctant to say what follows, for the simple reason that I make myself vulnerable to someone saying I’ve done the same thing. But here goes…. I have occasionally knocked myself out for a pastor or a church or a religious group, and gone to great lengths to serve them–sometimes buying a passport and doing the multitude of things one has to do to travel internationally or driving a long distance and enduring the interstates for hundreds of miles–only to return home and never hear a word from them again. Not a note, an email, phone call, nothing. I would assume they thought the check they handed me said everything that needed saying. It didn’t. In no way was my work with them a commercial transaction. We did not sign a contract. This is a ministry. And a faith one at that. Now, if I were insecure, I would obsess about the shouted silence from those who invited and hosted me, then sent me on my way with a check and not a word since. I would lie awake at night wondering if I failed them in some way, if they were unhappy with what I did, if their silence speaks volumes about their negative feelings. I would, but I don’t. Where’s the point in that? Do you suppose God in Heaven lies awake at night wondering if He has failed you and me in some way, since He never hears a word of thanks or appreciation from our direction? We know the answer to that one, don’t we? God does not need anything from us. He said, “If I were hungry, I would not ask you. The cattle on a thousand hills are mine” (Psalm 50:12,10). If I could say one thing to young preachers about making their sermons effective, this would be it. A sermon which lays its points before the people without ever tying them up again at the end fails its audience in a lot of ways. Chiefly, it never lets the congregation see the bigger picture, how the message fits into the larger framework of God’s plan for the world, the Kingdom, and themselves. With Kessler’s suggestions as our guide, I want to propose three approaches for preachers in crafting more effective closings for sermons. 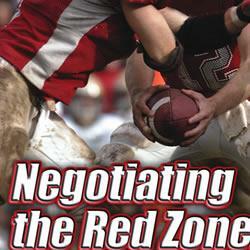 via Negotiating The Red Zone: Taking Your Sermon To A Successful Conclusion | Preaching.com. I’m going to start this reflection without a clear understanding on where we will end up. It should go without saying that nothing that follows is the last word on anything. But perhaps it will get us to thinking. The one who blesses is greater than the one blessed. According to the anonymous writer of Hebrews, Melchizedek was greater than Abraham since it was he who blessed the patriarch and not vice versa. The blessor is greater than the blessee, to paraphrase 7:7. I’ve been reading a new biography of Thomas Beckett, the archbishop of Canterbury who was martyred in the 12th century. One issue that surfaced regularly in those days was whether the king of a country had the right to “invest” the new archbishop with the symbols of his position, implying that the king himself was granting powers to the spiritual leader. The symbolism meant a great deal. The pope, to no one’s surprise, wanted to end this practice, insisting that the church is autonomous and beholden to no earthly power. Kings fought to keep all evidence in place that the church existed under their authority and its leaders should obey them above the pope. The dispute illustrates Hebrews 7:7 perfectly. If the one giving the blessing is greater than the one receiving it, he is then the top dog. Such symbolism meant everything in medieval times. Scripture informs us of numerous other such truisms worth our consideration. Let’s try these on for size. You, too? We all have. Only, we’re at different levels of maturity. None of us–okay, we’ll reluctantly grant a few exceptions here and there–has attained anything like full adulthood. That’s one reason we stand in awe when we come into contact with a genuine, bonafide adult. Someone who has grown up mentally and socially, who has his impulses under control, who thinks deeply and speaks carefully and wisely, and is the very definition of integrity and responsibility. They are rare, to be sure.